Peace is an embodied practice. Dance is a way forward for children living in a volatile world. Through engaging in artistic experiences with intergroup contact, social practice arts interventions inspire an ecology of peace, engagement and entrepreneurship. Dance Peace is an initiative to bring about social interventions that address insular or divided communities, potential or actual violence, weak interfaith or cross-cultural neighborhood bonds, and needed Track 3 diplomacy through dance and movement-based arts experiences. We curate, design, facilitate or collaborate on projects that we theorize will have positive, urgent and relevant impact for each specific context. Follow Dance Peace on Facebook and Instagram for photos, updates and performances. 1. 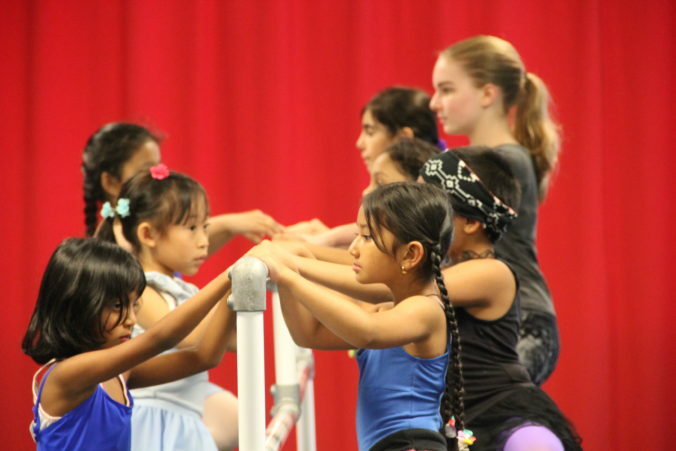 Scholarship fund that helps Syrian, Iraqi and Burmese/Rohingyan refugee children integrate into existing, ongoing arts programs (music and dance) in Chicago. 2. Workshops and collaborative performance projects by Muslim & Arab refugees in Chicago and their diverse neighbors, including Orthodox Jewish teens. Every $250 will sponsor one student in a 60-minute class per week for a full semester, plus supplies. What we need… Please e-mail [email protected] if you are interested in helping. 3. Workshop sites in 3-10 cities or refugee camps internationally. 6. Consolidation and distribution of research and writings (collaborative literature review or blog) on the power of arts and cultural participation in peace, diplomacy, community building and resettlement. 7. Database or list of existing arts programs accessible to refugees, distributed to service organizations and policymakers. 8. Piloting a new research model.